Ulster Solemn League and Covenant Printing Plate. 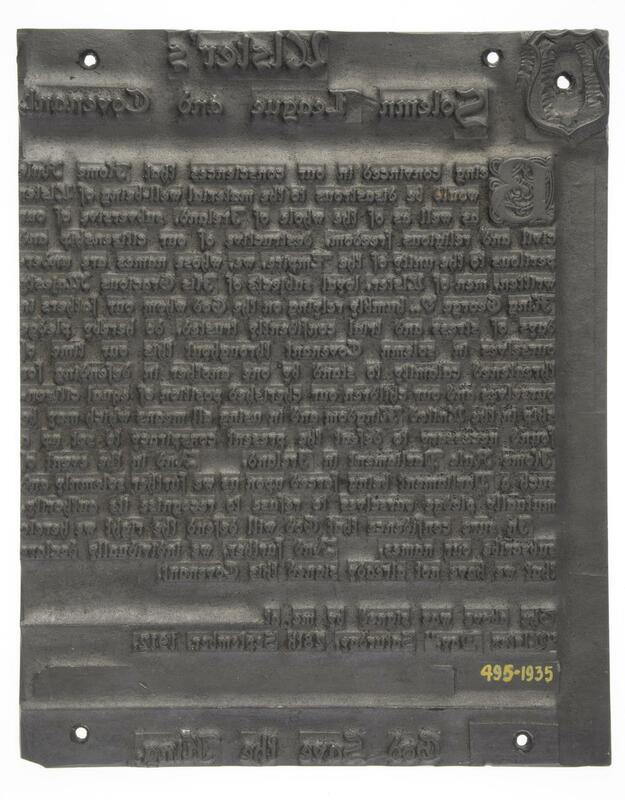 This plate was used to print the souvenir copies of Ulster’s Solemn League and Covenant. Rather than being typeset, calligraphic lettering makes each sheet appear handwritten. Those who signed the main petition in City Hall could then sign and keep their own copy. Some even signed the souvenir copies in their own blood.